Not only is this Moroccan chickpea soup comforting to eat, the aromas of cooking it will fill up your whole house. Many different spices are used to make this soup, including cinnamon and paprika. The combination of tomatoes and chickpeas blended into a creamy texture will excite your taste buds to the max. A fresh herb like cilantro makes a beautiful topping, and adds yet another dimension of taste to this dish. Add the onions and garlic and cook 7 minutes, stirring occasionally. Add the chickpeas, tomatoes and broth and bring to a boil. Simmer for 30 minutes, then cool to room temperature. 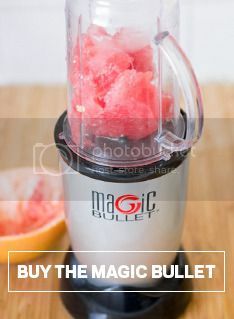 Blend the soup until creamy in a Magic Bullet pitcher. Rewarm in the pot and serve.